The firm maintains a general practice & services Escambia, Conecuh, Monroe, and Convington Counties. Since the firm’s establishment, the firm has maintained a general practice. Located in Brewton, the firm extends service to the counties of Escambia, Conecuh, Monroe, and Convington. 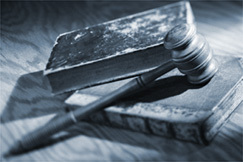 The firm is listed in the Bar Register of Preeminent Lawyers under civil trial practice and general practice.